Today the exterior of Blair House is almost as it was in 1888. The framing and flooring are Douglas Fir, the walls and foundation are virgin, clearheart Redwood, which today would be prohibitively expensive, helping to explain the home's excellent condition. Architectural details enhance the basic design. 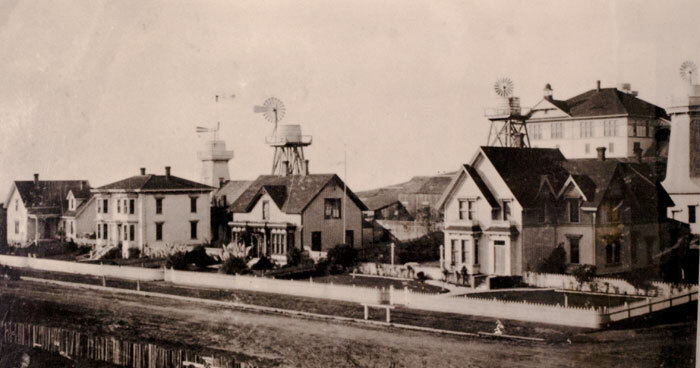 Early photographs show both the carriage house and a large water tower behind the main residence. The picturesque beauty of Blair House makes it a photographer's and artist’s dream. The charm of Blair House begins when you walk through the gate of our picket fence. The apple tree by the front walk, stands in a garden of daffodils, daisies, and English lavender. 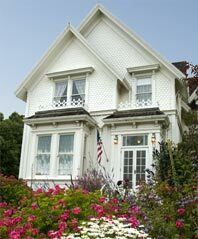 Ring the old fashion doorbell and walk into the simple elegance of this Grand Dame of the Victorian era. Oriental rugs grace the floors throughout. Swedish and American antiques add their beauty, while lovely ocean and village views brighten each room. You'll love the plush queen size beds, complete with hand crafted quilts, comforters and featherbeds, to give you a dreamy night’s sleep. Our rates include breakfast and a complimentary bottle of wine. Oliver Johnson, the leading local builder and carpenter, built Blair House in 1888, for Elisha Blair and his family. Mr. Blair had come to Mendocino from Maine in 1857. While working for several years as a mill hand at the Big River Mill, he often loaned money to the other workers. He soon became a prominent financier in Mendocino. Elisha Blair married Hattie Emily Taylor. Their only child, Florence, was born in 1884. 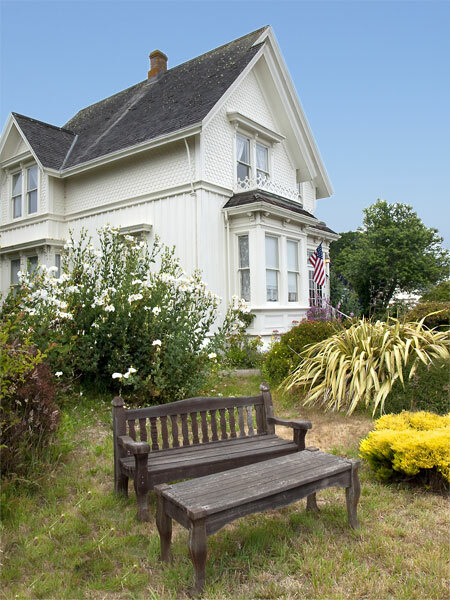 When Blair House, their new home, was built four years later it was considered one of the finest homes in Mendocino.